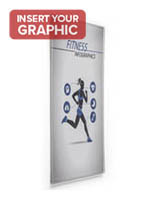 These 11 x 17 standing sign frames feature a base with an adhesive bottom for mounting to tabletops. 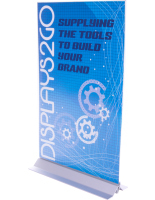 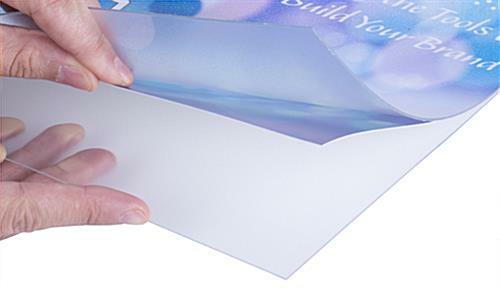 Each poster holder also has a strong acrylic lens for protecting their contents. 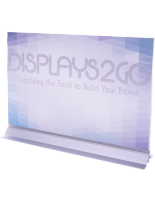 The standing sign frames have a double sided design that gives them maximum visibility when placed on a table or countertop. 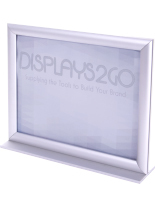 Alternatively, the aluminum and acrylic fixtures can be mounted to walls to have a landscape display. 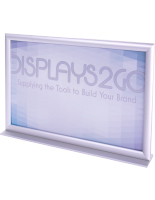 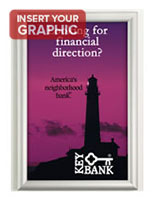 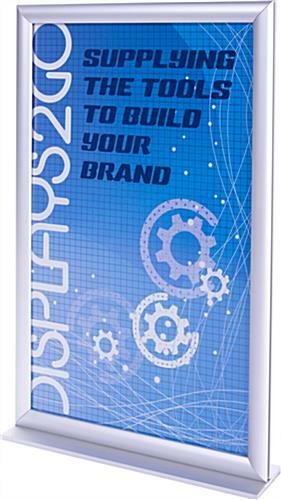 The double sided sign frames display posters in a portrait orientation when placed on countertops. 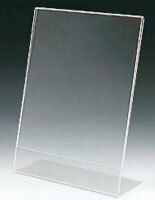 The holders' base has a small footprint of 2.5" that makes it great for placement on any desktop or wall. 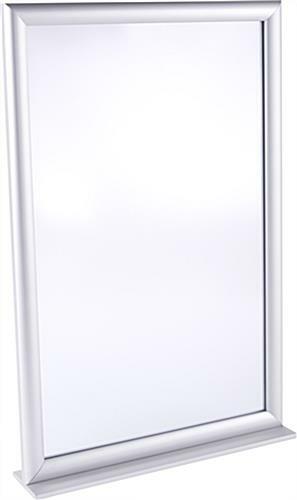 11.5" x 17.8" x 2.5"